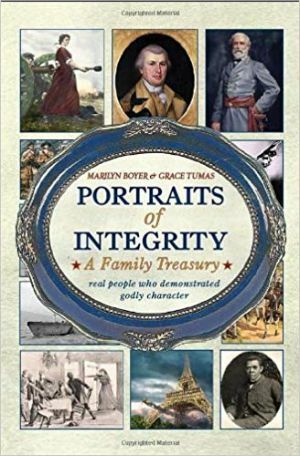 Sure to be an all-time family favorite, Portraits of Integrity will be treasured as a centerpiece of family devotions. It’s a book to inspire young people and their parents as well, with the examples of people who dared and did great deeds that have gone down in history! Jake DeShazer who was a prisoner of the Japanese during World War II. He was tortured and kept in solitary confinement for many months, but when a Bible came into his hands he became a Christian and later went to Japan to share the gospel with his former enemies. Nate Saint, the missionary pilot who, with Jim Elliott and three other men sacrificed his life to bring the gospel to the Auca Indians of South America. Booker T. Washington, the former slave boy who rose to become the leader of his people and built a college from nothing to give ex-slaves and their children a chance to elevate themselves as he had.–and 42 more inspirational heroes of history! A beautiful, hardbound volume of 344 pages. 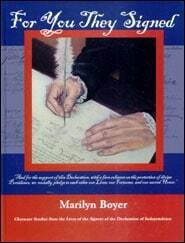 Marilyn Boyer and her husband Rick are true pioneers of homeschooling. Beginning in 1980, Marilyn has taught all of her 14 children from kindergarten through high school. 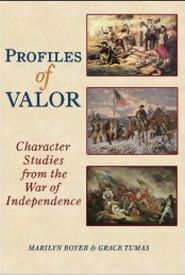 Her passion for putting Christian character at the top of her educational priorities resulted in the creation of the Character Concepts Curriculum. Marilyn has authored several books including Parenting from the Heart, Hand-on Character Building, and For You They Signed, which inspires children and adults alike by learning of the character of our founders. Her combination of compassion, godly wisdom, and rich insight into the hearts of children has made her a cherished resource for moms all across America. Look at these vast Contents!